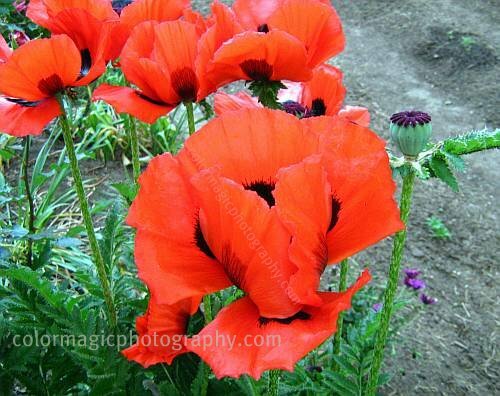 Oriental poppy (Papaver orientale)or Royal Wedding blooms in May and June and they are truly spectacular flowers. Its scarlet, silky bright blooms absolutely steal the show in gardens, as they welcomes the beginning of summer. It is a petty that these large, glowing, red-orange flowers don't last long and the velvety petals of poppies are so easily spoiled by rain. Please join and share your beautiful flowers! Rules are simple but I do ask that you, please, use a MFS badge or link back to MFS in some way. Thank you. - use the widget installer button (add to sidebar) for one click installation in Blogger blogs. - to install the badge in your blog post copy/paste the code manually from the box, while working in Html mode of the post editor. I reserve the right to delete entries with inappropriate content (no winter landscapes here, please) or incorrect backlink, without any more warning. My parents used to grow these Oriental Poppies in their yard...Oh, how I loved them then. They are so special...I have got to give them a try in my own yard. 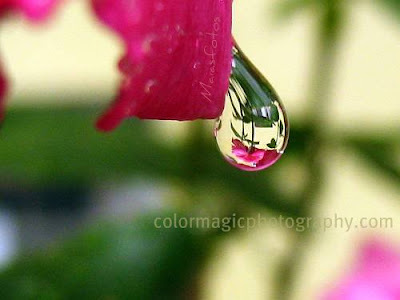 Beautiful captures! Wow, what amazing color! 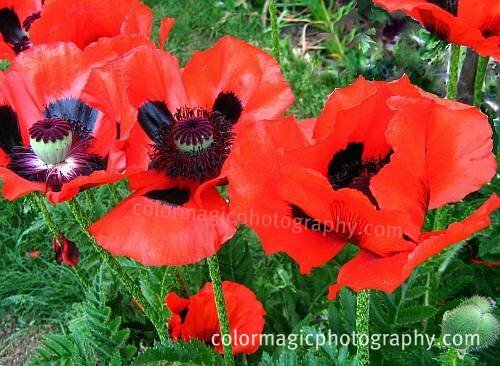 I love red poppies and you captured their beauty perfectly! So bold!!!! Wow..beautiful poppies in red! I wish to have some..Have a great weekend.. I love the flowers on these - ours are not out yet but I agree they don't last that long. Great shots Maia. What vivid color in these poppies! another dose of gorgeous colour...poppys are definitely precious flowers.